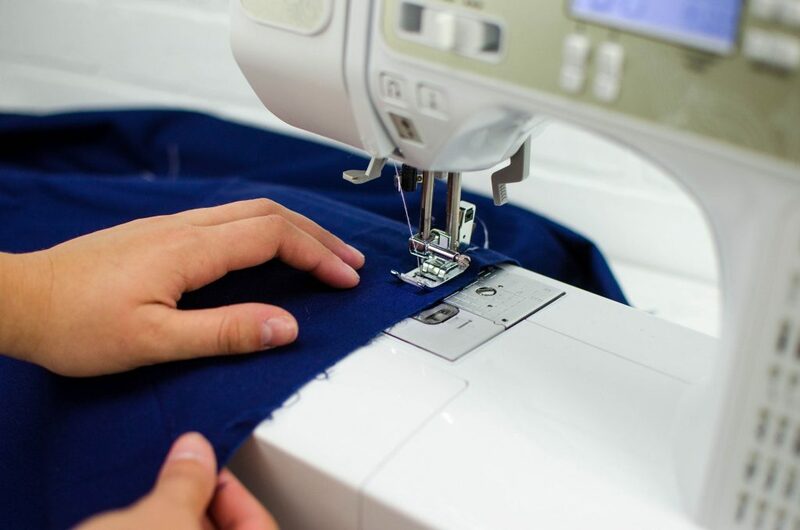 Who wants to learn how to sew a rolled hem?! 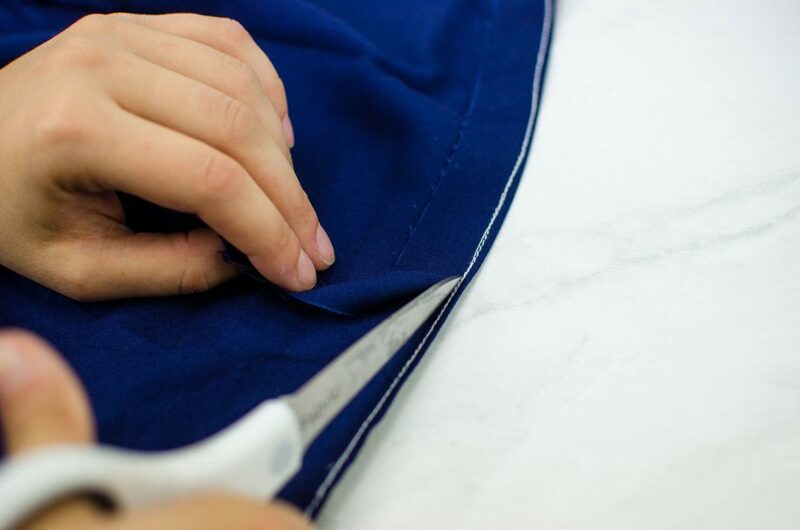 Rolled hems are elegant and professional looking. 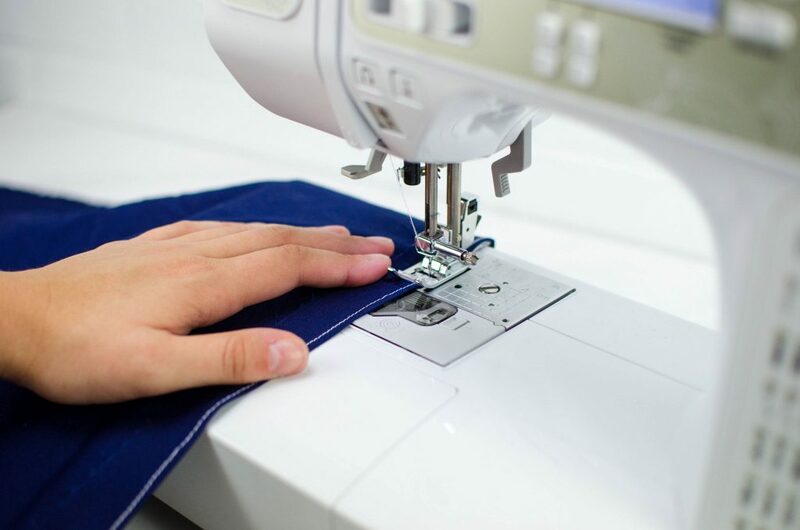 When you are working with thin fabrics like silk or any kind of sheer fabric, you’ll want to know how to sew a rolled hem. 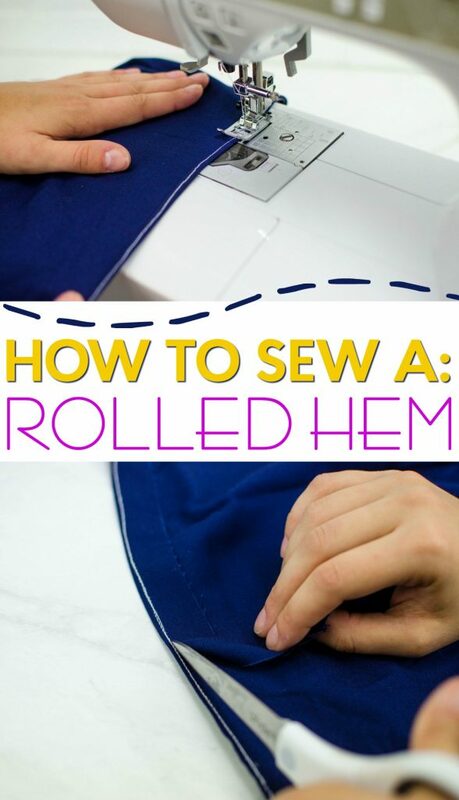 While they are perfect for sewing nice looking blouses, dresses, and kimonos, rolled hems can be really tricky to sew. 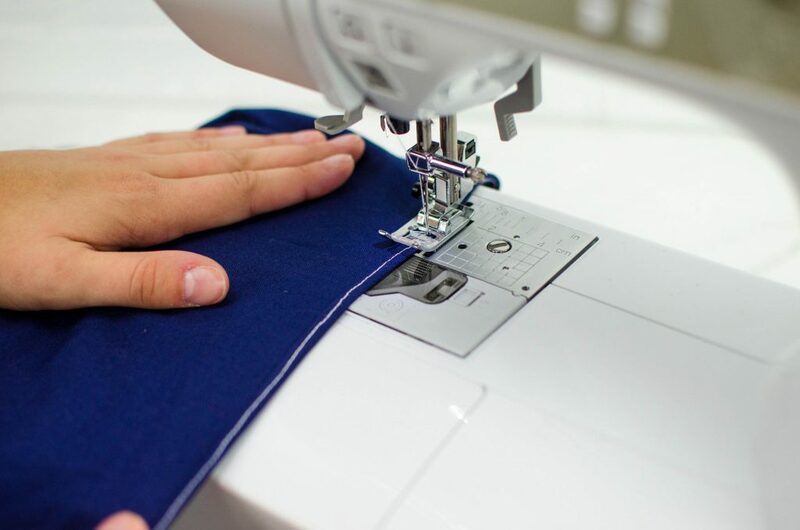 Once you have some practice under your belt, you’ll be sewing rolled hems in your sleep and teaching everyone you know how to sew a rolled hem. Let me show you how! 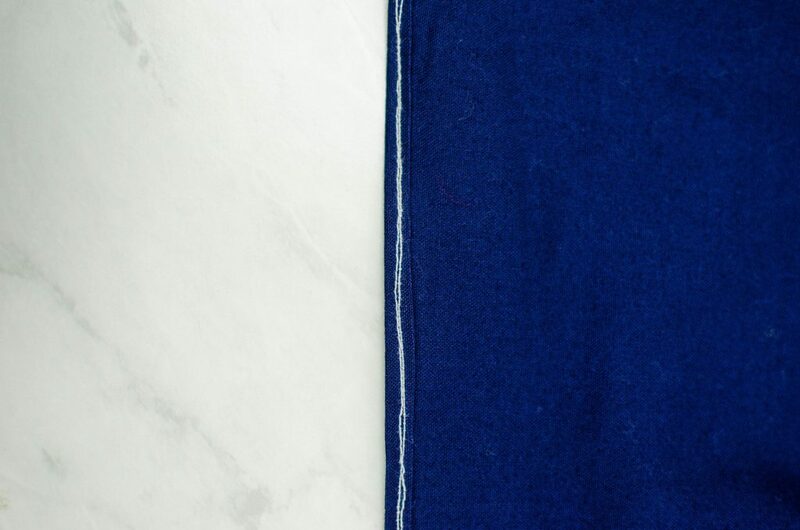 Step One: Stitch a straight line down 1/4″ from the desired hem allowance. 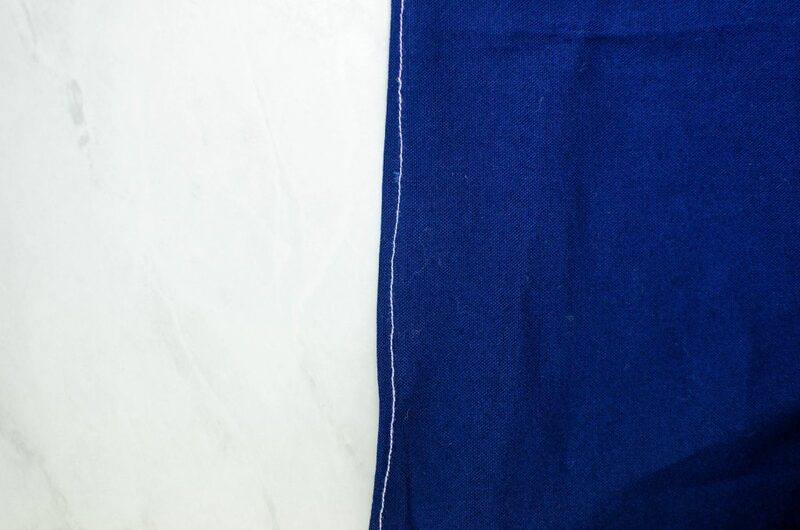 So for example, if you want to shorten the fabric by 1”, stitch this at the 3/4″ line. 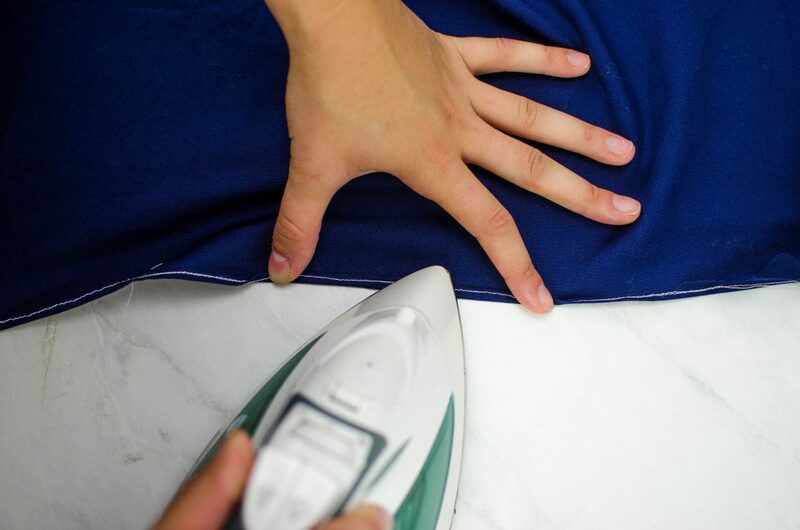 Step Two: Fold the stitch line to the wrong side of the fabric and press it with an iron. Step Three: Stitch directly on top of the first stitch line. This will need to be done with the inside facing up so you can see the first stitch line. Step Four: Trim off the extra fabric from the hem, cutting as close to the stitch line as possible. Step Five: Fold the hem again, rolling the stitching to the wrong side. Step Six: Stitch directly on top of the stitches on the inside of the garment. This stitching will be seen on the right side and if sewn well will appear as one stitch on the inside. Press it once more to finish the hem off! Aren’t rolled hems cool? I love that the front of the hem looks so good. The better you get, the more the back will look clean too. It actually should look like just one stitch line but even if you don’t get them perfectly aligned that is a-okay! the back will be on the inside of your project and there are still no raw fabric edges! 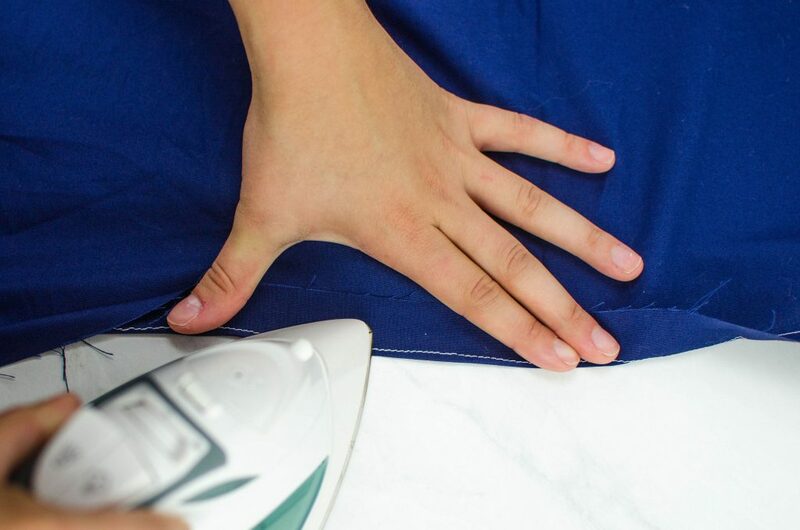 Yay for rolled hems!